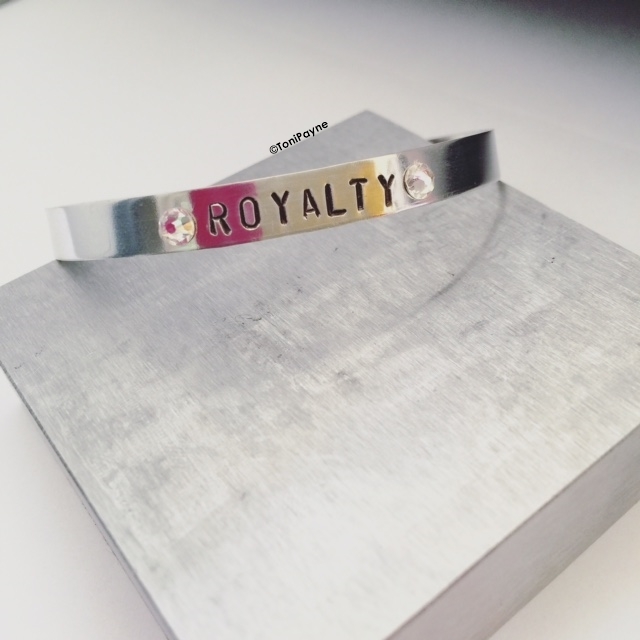 The Custom Royalty cuff bracelet is a unisex bracelet that looks great on. A simple lightweight wear bracelet that is hand stamped with the word “Royalty” This bracelet is part of our Inspire Collection. Feeling like Royalty? Get this bracelet to let the world know. Available with 2 Swarovski Crystals on both sides.